Receding sea ice means polar bears in the Beaufort Sea struggle to capture enough food and go hungry — right when they should be fattening up for the summer. A newly released study examines the foraging habits and feeding requirements of the Arctic’s greatest predator, which are difficult to study. “High-energy, high-fat lifestyle challenges an Arctic apex predator, the polar bear” was published Thursday in the Feb. 2 issue of the journal Science. 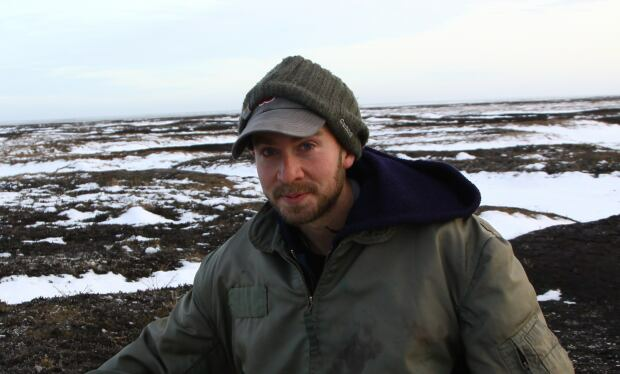 “Basically, [the] bears are having less opportunities to catch seals and they’re exhibiting greater movement patterns than they had historically, and that’s influencing their survival rates and their reproductive success,” said Anthony Pagano, the study’s lead author and a research wildlife biologist with the U.S. Geological Survey based in Anchorage, Alaska. The movement of nine bears was tracked by human observation and GPS tracking collars as they hunted for food across hundreds of kilometres of Beaufort Sea ice offshore Prudhoe Bay, Alaska. The study was carried out over eight to 11 days each April in 2014, 2015 and 2016, and included blood chemistry analysis to determine the basic metabolic needs of the polar bears. “One of the reasons we started this research is because there just is not much known about the basic behaviours of these animals,” Pagano said. Pagano said much of the foundational work in understanding the basic foraging habits and behaviour of polar bears is based on work done about 40 years ago. 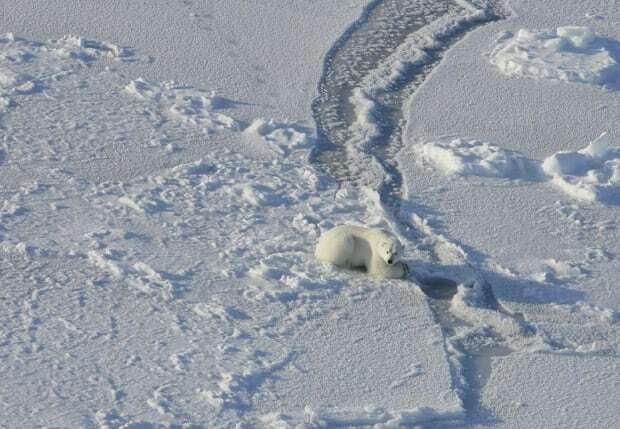 Basically, this is the first time the biology, movement, foraging habits, hunting success and feeding demands of a group of Beaufort Sea polar bears has been studied this intensely. Researchers discovered the polar bears have a higher metabolic rate than previously assumed — up to 1.6 times higher — meaning the animals require up to 1.6 times the food energy than previously understood, just to maintain body weight. The higher metabolic rate, coupled with the fact that the bears studied now travel hundreds of kilometres further to hunt as sea ice recedes, means the bears are burning even more energy to catch fewer “energetically dense” ring seals. An adult ring seal can weigh up to 70 kilograms, according to the website sealingnunavut.ca. Pagano said the working assumption is that as the ice recedes and the bears move further North following receding ice, they will move over deep water that is less conducive to seal hunting. Of the nine bears observed, four were successful hunters. Five were not. Pagano said unsuccessful hunters lost about 10 per cent of their body mass — 18 to 20 kilograms — over an eight to 10 day period during the study. “It really highlights the reliance these bears have on catching seals, and the reliance they have on their fat stores when they’re not able to catch seals. “The basic concern is polar bears put on a majority of their body fat in the late spring and early summer when they’re concentrating on recently weaned seal pups,” Pagano said. Receding sea ice only threatens to compound the problem as polar bears move northward over deeper water that’s less conducive to hunting seal. Pagano said it would be hard to say how widely these results might apply across the Beaufort Sea. But the report does conclude with one seemingly inescapable conclusion for polar bears facing the same situation as those studied. “These increases in movement rates and potential loss of opportunities to catch seals is going to result in a energetic imbalance for these animals, and ultimately influence their ability to provide for their cubs … reduce cub survival and ultimately lead to population decline,” Pagano said. Nobody has more history and experience with polar bears in the Beaufort Sea than the North’s Indigenous people. The study wasn’t meant to address historical or traditional Indigenous knowledge, but the conclusion doesn’t come as a surprise to Robert Kuptana, an Inuit elder in the region. Kuptana, 75, was born in an Igloo almost 100 kilometres north of Ulukhaktok, N.W.T., on the eastern shores of the Beaufort Sea on Victoria Island. He has been hunting polar bears as part his community’s subsistence hunting lifestyle since he was 13, and considers 1964 as his best hunting year ever because that’s when he killed 16 polar bears. The sea ice is “not like it used to be,” he said, adding he’s observed fewer polar bears in the region and has to travel further to find them. He says it’s become difficult to hunt for bears, and when hunters do make it out they see fewer bears while travelling further to try and find them. Wynniatt Bay is on the north end of Victoria Island, over 300 kilometres from Ulukhaktok. Kuptana said the polar bears he sees today look as healthy as ever, although he does see fewer of them. But he adds that his people have always travelled far to hunt, and the observability of polar bears from year-to-year has never been consistent. He said Inuit traditional knowledge used to guide the hunt is something scientists may at times overlook. However, he doesn’t doubt climate change and receding ice will have an negative impact on the polar bear because of what he says should be an obvious reason.